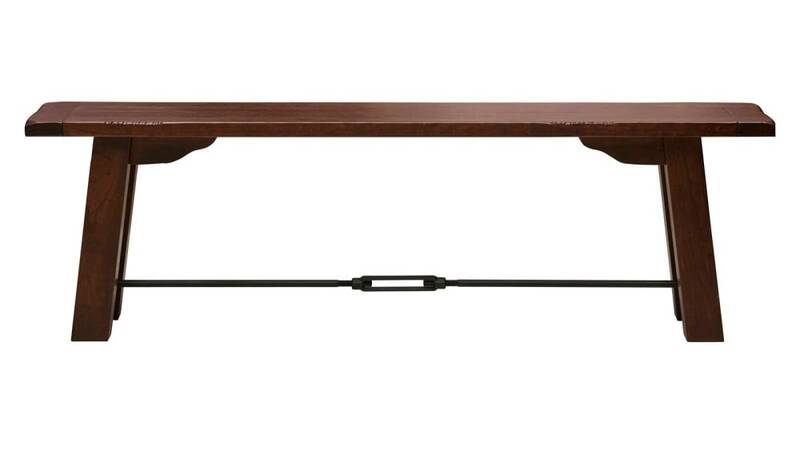 The Harlingen rustic solid wood and wrought iron dining bench pairs nicely with your favorite dining chairs for a relaxed dining feel. 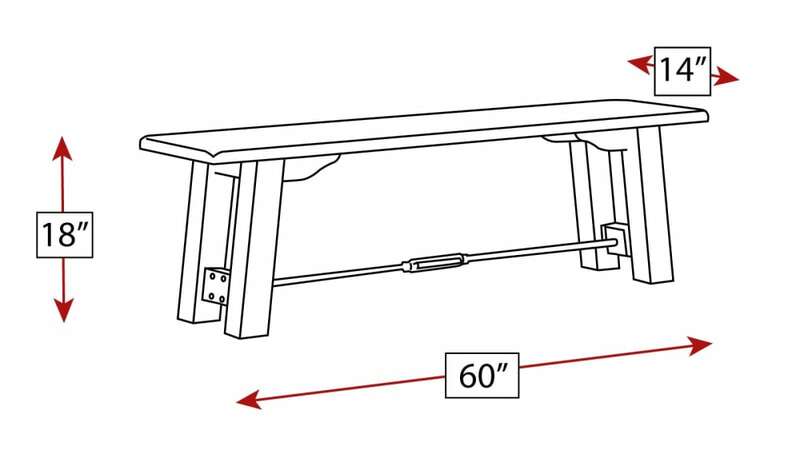 Bench can be easily tucked under a window or placed under your table for out of the way storage. The iron support bar creates extra stability and strength. 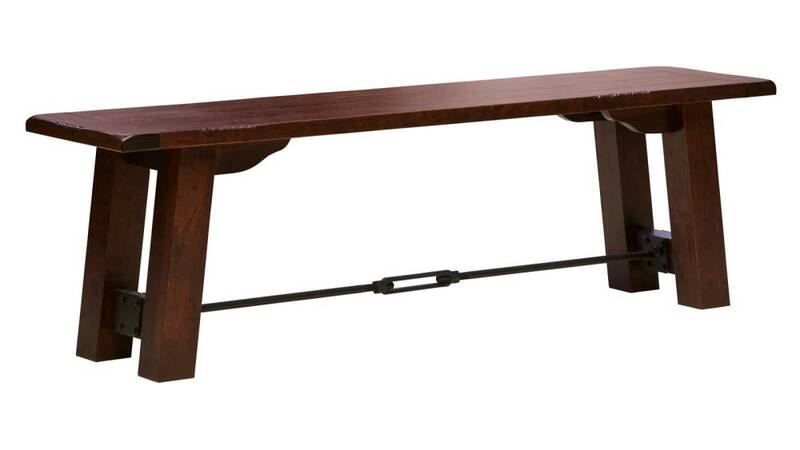 Have this made in America bench delivered today.